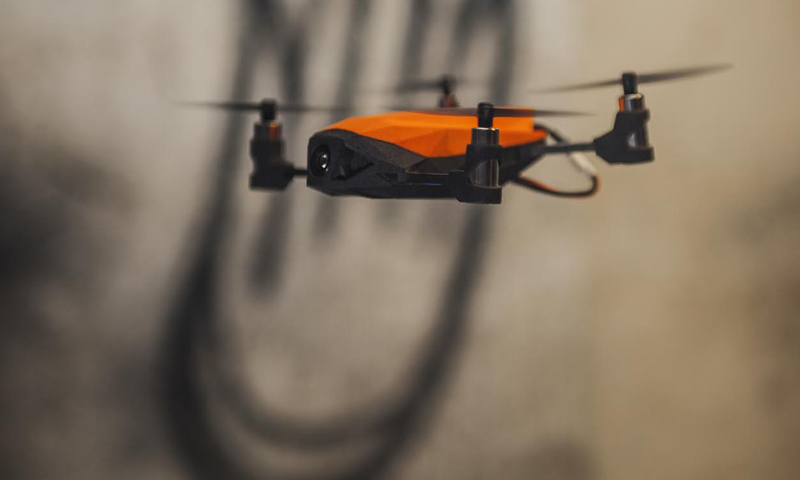 Nano-Racing is a startup launched in 2015, which makes mini 3D printed racing drones. It is on a quest to democratize immersion drone racing, a sport that has been gaining popularity since 2014. 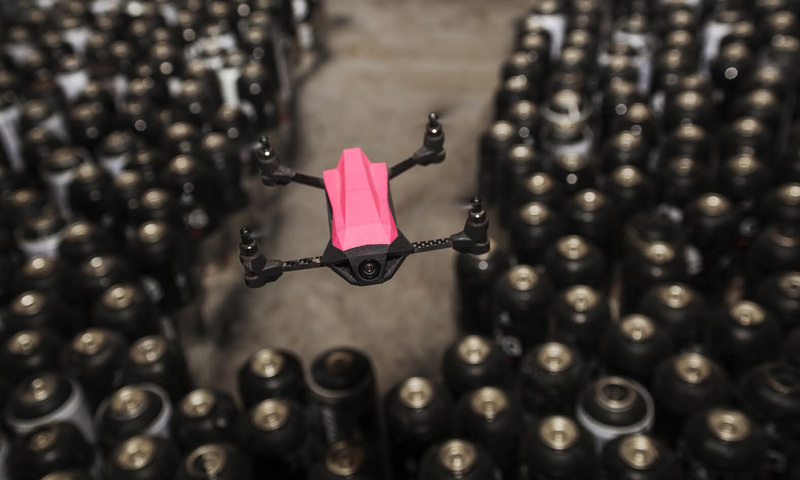 Their drones, small jewel of technology, are partly realized through our online 3D printing service. Charles Venayre, co-founder of this hardware & software startup, was kind enough to tell us about his experience using 3D printing both for prototyping and production. He also gives advice to those who are about to get into a 3D printed business! Charles Venayre : Nano-Racing was created in 2015, when drone racing was making its first steps. We noticed that racing drones (the big ones, size 250mm) weren’t broadly technologically accessible, required a large flying zone, were very expensive and went with just as expensive equipment. We had a passion for drones, and a dream: to democratize drone racing. So that’s what we did, and are doing, with the NANO Racer a small drone that has the same advantages as most of the best racing drones, and avoids a lot of their drawbacks: their cost is lower, their handling easier, they are less dangerous because of their reduced size and can be used anywhere, always with the possibility to drive in immersion. 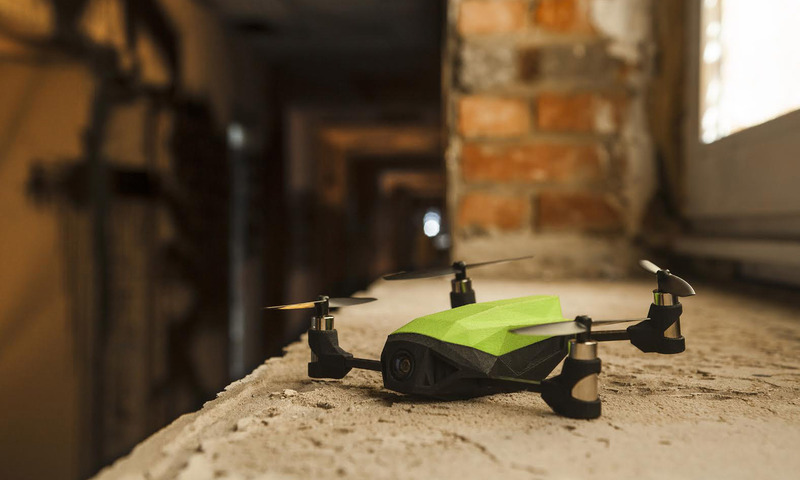 And it’s not just easy to handle: it is compatible with every type of hobbyist and professional piloting and immersion gear, which means it can be used by anyone. S: There are professional drone racers? CV: Yes! It’s sport recognized by the Fédération Aéronautique Internationale (FAI), wich governs aerial sports. It appeared around 2014 as an amateur sport, and now is structured by several organisation, among which, in Europe, the European Rotor Sports Association (ERSA). The Americans are quite visionary, both in the sport as in the way the present it and communicate around it, as are the Koreans. There are several thousands of practitioners in France, among which several hundred competition drone racers. The drone racing world championships actually just took place a few days ago! S: Can you tell me about your team? CV: There are 4 co-founders. Fabien Madore and me direct the startup. Fabien comes from aeronautic: he worked fifteen years with Air France, and was among the firsts to work in the drone industry. He created several drone-related businesses before Nano-Racing, one of them with me. 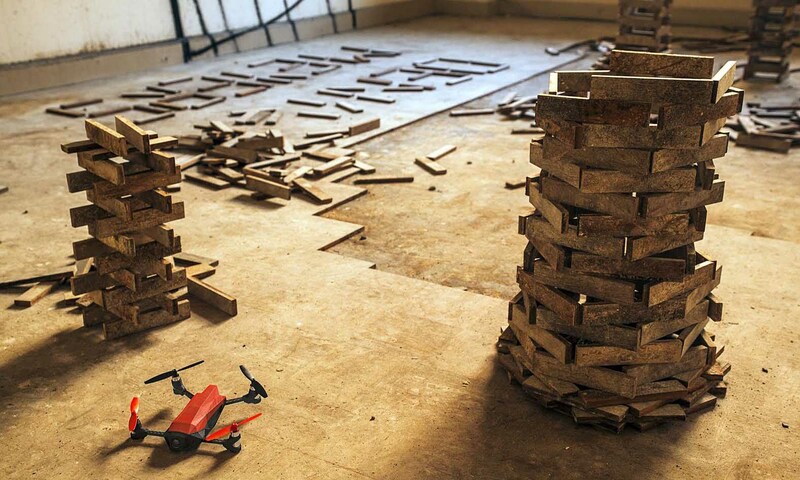 I was trained as an architect and arrived into drones through research. The two other co-founders are Christian Millot and Maxime Venayre (my brother). Christian is in charge of electronic conception (even though he has other talents) and worked a lot on miniaturizing the chipset (our small drones contain the same elements as large racing drones, sometimes even more performant ones). Maxime is responsible of software development. As for the rest of the team, we are ten in total, mostly in R&D, perfecting our software, mechanical and electronic conception. We make all the software and hardware in-house. S: How did you launch your startup? CV: We started thanks to crowdsourcing, through the platform Kiss Kiss Bank Bank: we raised more than 60,000€ when our set goal was around 26,000€. This campaign went hand in hand with a rich dose of crowdsourcing: we were lucky to be backed and supported by an active community. We organized a beta test phase, in which some famous pilots took part, and gave precious feedback. S: And now? Which stage of your development have you reached? CV: We rose to the first challenge when we released our first product, after a long prototyping phase. Our new challenge today is industrialization, changing scale, and broadening our range of products. What’s most important is here: our product is appreciated. The advantages I mentioned (handling, adaptation…) are recognized. We offer popular tools through our mobile app, which simplify configuration greatly. You can, for example, choose a “drone personality” using pre-set flying modes (note that each pilot has their own specific choice of settings and way of flying). Our other great particularity is that our drone is the only one in the world to be entirely assembled by interlocking: no screw, no welding. This a key advantage for customization! S: What was your prior experience with 3D printing before you used our online 3D printing service? CV: Fabien and I had a good mastery of 3D printing, as we started using it at the very beginning, when the Stratasys patents became public in 2009. We used it for various prototypes, I used it to make architecture models. We worked with FDM (fused deposition modeling): an Orca machine by Mendel Parts. We also used SLA (stereolithography) and SLS (selective laser sintering) – for SLS we used your online services. S: Why did you choose to use 3D printing? CV: Obviously, 3D printing is an outstanding tool for prototyping and short-run production. That’s what we offered our first clients: an early bird short run of 320 products. And for us, 3D printing allowed us to do the tests, the crash tests, and adapt the product. All of this while avoiding the costs and delays that go along with injection molding: rheology tools, molds, injection, and the validations between each step. S: Which CAD software did you use for 3D design? Why? CV: Sketchup and Solidworks, which are references in the field. Sketchup allows to go faster when defining a product thanks to a free, easy to navigate 3D drawing space. Solidworks is best to predict production problematics, thanks to its simulation tools. S: What did you test during the prototyping phase? CV: We worked with Sculpteo to identify problems due to conception: it happened, for example, that after a crash test we realized that a zone lacked matter. So we reviewed the design to reprint the reinforced model. We also had to think about the adapting of the parts to the motors’ power. Many tests were made directly with professional and semi-professional pilots, as well as hobbyist clients. We received technical feedbacks, in particular about assembly. S: What did it bring to the table to use a 3D printing service? CV: The relationship with Sculpteo worked really well. We got the answers and dialogs we needed, in particular when it comes to problematics related to 3D printing with SLS for an object that, by definition, endures a lot of shocks, and needs to be both resistant and flexible. Sculpteo’s services helped us solve the conception issues that the prototyping tests showed. What really was of use in your online 3D printing services, it’s the proximity and human link. The way we did it was through an iterative process, with about twenty prototypes and the need to be reactive and adapt to change. Our encounters with the Sculpteo services were very fruitful. They allowed us to place special orders and bypass certain limitations. For example, it happened that we had to 3D print an object that didn’t respect the minimum thickness that your platform recommends, since we pushed the limits of 3D printing. S: Do you know that we’ve recently created the “Print It Anyway” option so that experienced users can precisely bypass those limitations? S: Do you think you’ll go into production with 3D printing? CV: Yes, in part: 3D printing isn’t just for prototyping. 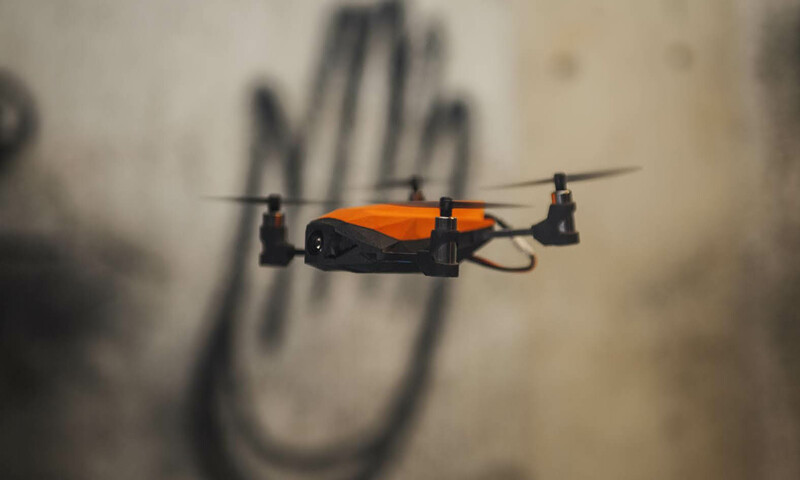 Now that we are heading towards production in larger series, we will offer two options: a product done through injection molding, and a “hacking kit” that will make the drone more powerful, with 3D printed parts. S: Do you use other digital manufacturing techniques? CV: Yes, we use digital milling to make the drone’s arms. This technique allows to cut very strong materials, stronger than with laser cutting. On the long run, I hope it will be present as-a-service at Sculpteo, as laser cutting is. S: Can you share some insight from your entrepreneurship experience? CV: In my opinion, there are two ways to create a good product: either use digital simulations, test everything before producing, in order to reach perfection at the first try, or to iterate. The first method requires time, money and an expertise that often are only accessible to the larger firms. The second one is less costly, thanks to digital manufacturing and in particular additive manufacturing which enable anyone to directly create a tangible, real product, to test and validate your hypothesis, confront the product with reality. On top of what you gain during the production phase, this also means having to deal with less stocks. S: For you, what does it mean, today, to master 3D printing? CV: Mastering 3D printing means to dare more. Daring to conceive industrial products, avoiding costly and long processes, testing the market first-hand. And it’s becoming more and more essential. In an iterative creation process like ours, you easily make two dozen prototypes. With 3D printing you can move fast, put aside the ideas that don’t work. Mastering 3D printing, it’s also having the skills and mechanical knowledge to make the technology yours. S: Which tips would you give to someone who’s getting into 3D printing for their business? Go ahead and do it! It’s a real advantage in life to have created something. And 3D printing allows to make real ideas that would have otherwise been forgotten in a drawer. Start with simple things: just printing a basic object will already leave your mark on you! Educate yourself about the restrictions of 3D printing techniques. For example, knowing that some complex objects might require supports changes everything about how you’ll conceive your design. Try out all the 3D printing techniques to understand which ones will be most effective for your project. This last point will depend on the accessibility of the machine, the nature of the project, the simplicity of use. If you simply want an aspect prototype, for example, SLA isn’t ideal because it’s too complicated, you’ll have to handle the resins, etc. FDM might fit better. As for SLS, there’s a great advantage in using a 3D printing service like Sculpteo, becaus you don’t have to handle the machines. This means you don’t need to train yourself to use the machines, you only have to learn about the technical properties of the objects that come out of them. On the other hand, this also means you don’t learn to fully master the technology. You just have to try and touch each one of them! S: How can one get that education about 3D printing? CV: Everything you need to get a hand of it is on the internet! It’s also important to get in touch with a fablab, a makers community, meet people, exchange. That’s how you learn. We were delighted to share with you this customer story, and hope it inspired you to get into 3D printing, either by printing your own 3D design or by educating yourself online, as Charles recommended! A good tool for this is our learning center, where you’ll find tutorials, ebooks, webinars on 3D printing, laser cutting, and digital manufacturing as a whole.